The coloring of juveniles is paler than that of adults. The blue line trigger is fairly aggressive but can get to know its owner. 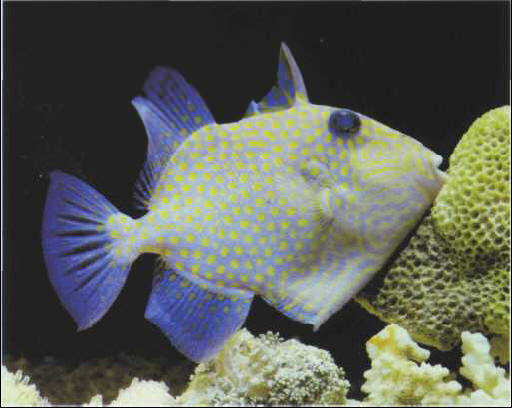 It sometimes looks for its food by "spitting" water to lift up the sand. Size: 35 cm.